"I love your wallet!" said the cute young girl working behind the counter at the Panda Express. I found it to be funny as I was standing there waiting for my change and pondering just what about her I could complement. I was deciding against it as I thought she might think it rude of this weird old guy to complement her when yet again out of the blue, some member of our society surprised the heck out of me and she tossed me the complement. I thanked her very much for her kindness. But I am getting a bit ahead of myself. Let me backtrack a bit. This is my beautiful new wallet. Some of you may recall that just a little bit ago I finally upgraded my purse to a nice new Coach purse. I was so excited and unsure about my purse purchase that it did not occur to me until a few days later, darn it I should have gotten a new wallet at the same time! Bummer for me, but an excuse to go shopping again later. And thus the next time I had an opportunity to stop at a Coach outlet, I went looking for a new wallet. Btw, yes I had to wait in line again to get into the Coach store. I wonder if they do that on purpose, as it makes it seem so much more special if you have to wait to get into the shop. Whatever. Again on the way in they handed me a coupon for 50% off. I searched throughout the store and finally decided on the one I have pictured. I thought it was just the right amount of girly cute. 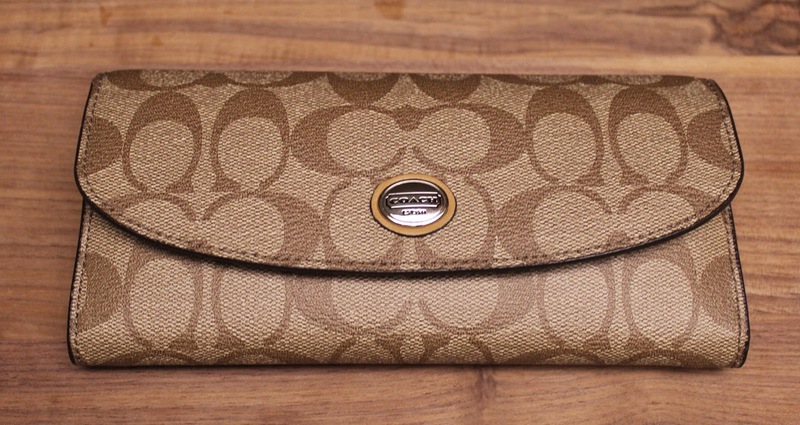 It is obviously a Coach wallet, pretty unmistakable actually. But the hidden interior flower designs was such a surprising pop of cuteness that I had to have it and I love that it is visible from the ends as well. Just the right amount of cute, without being overwhelming sweetness. So back to the comment from the cute Panda Express worker. I received that complement one day after work as I was dressed as a guy standing there, in my hometown, holding my new Coach wallet. As is usually the case with me, I was somewhat unsure and nervous about carrying around such an obviously female item while in guy mode, but I told myself that nothing bad was going to happen or come from it and if I wanted to do it I should just do it. So I do it. I have been carrying my new wallet with me wherever I go. It does not matter if I am dressed as a guy or a girl, I use the same wallet. Awhile back I used to switch between a guy wallet and a girl wallet, but I always hated my guy wallet and I especially hated having it in my back pocket. And thus I gave it up and have been going with a female wallet ever since. This new one though shook my confidence a bit as it is obviously a females wallet. I don't think I have ever seen a males wallet with the C all over it. Anyways, what problems have I brought into my world by allowing myself to be me and to do the things I want to do with my own life? Umm.... yup, that's right, none. No problems at all have occurred and as a point of fact, it yet again has shown people to step up and be super nice and cool, like the girl at Panda Express. What have others around me said about it? Nothing. I think by now everyone in my world knows that I am fairly gender non conforming, and maybe they think I am weird or different or unusual but the only change I have ever observed is people being nicer to me than they have ever been. And the only reason I can come up with to be able to explain their actions is that possibly by allowing myself to be me, I am the one that is actually being nicer. People pick up on this and return the niceness. Just one more small little thing that shows me I should allow myself to be me. Do you allow yourself to be you? Not the cranky, pissy, suspicious, afraid, skeptical you, but the nice you, the fun you, the friendly you, the inner you that you are often afraid of showing the world because the world is a harsh cruel place that will stomp on you if it gets a chance. Relax, take a deep breath, be free to be the best you, for your own benefit. I am so proud of you and you are an inspiration to all people. I see you often putting your kind self out there and getting that in return. Thank you for being a bright light in a some times dark world. I love you!!!!! I just love rereading those last paragraphs Nadine! You have hit on the kernel here, that whatever it takes to let our brightest light shine out is what we must permit ourselves. Love to you and Jules! I am sooo impressed and pleased. I do have one question - What do you do with that beautiful wallet when you are out and about in guy mode? Clearly it won't fit in your pocket. Wow, thanks George, I appreciate the complement. I do not even try to stuff my wallet into my pocket. Though some male jean pockets are pretty big. My old female wallet I could do that with. But this wallet I generally just carry in my hand. Otherwise I kind of tuck it under my upper arm if I need to. I thought it would bug me, but actually no I really don't mind carrying it. I actually hated putting my male wallet into my pants pocket and then attempting to sit on it. I always found it to be so darn uncomfortable. I hated it actually. So now it is really a pleasure to carry my wallet. :) Thanks for reading, responding, and questioning George! Very impressed! Good for you for being yourself, plus who wouldn't love the wallet. Thanks Vivian. 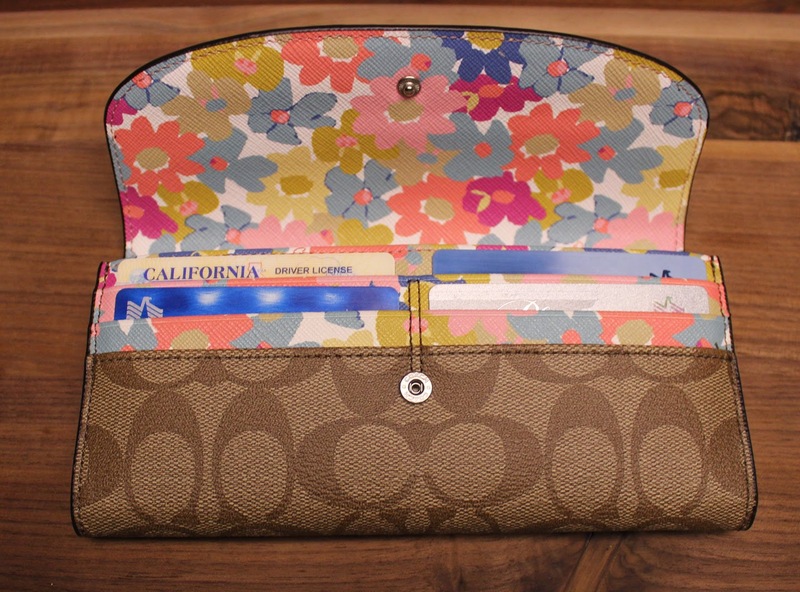 You are such a sweetie, but you have given me a new found addiction to quality purses and wallets. Thanks, but I love/hate it!!! Love it cause it is so cute but hate it as it is one more thing to take my $$$. 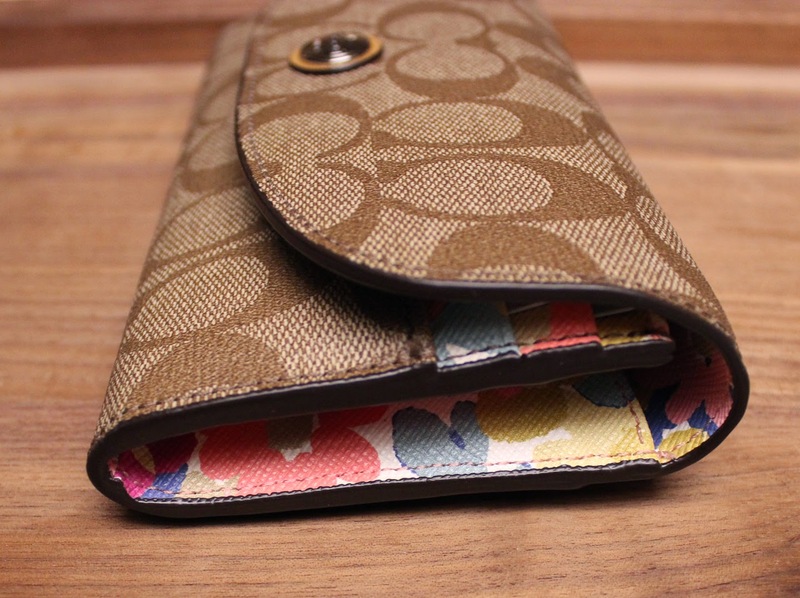 But then again when you look at use vs. cost, a quality purse/wallet will last far longer than some cheapo thing. Okay fine, I just love it!! I know exactly how u feel. I began living full time as a woman almost a year ago after hrt started to make noticeable changes. Until then, I had never really owned a nice purse. Now I'm totally addicted. They're almost as bad as shoes, LOL. I agree, they are almost as bad as shoes! I keep seeing all of these other cute purses by different designer and pondering if one day I will own one of those as well. I guess time will tell. I could see it being a new addiction.